Finally, Naomi Angel’s LINE app sticker was released on June 10th (2014) ! If you have LINE application, please click below link, then you can get them easily at LINE stores. Of course this sticker is for LINE application, so you need to install the LINE application at first when you use this sticker. Please set up your e-mail and password for login when you register. LINE application is free to download. 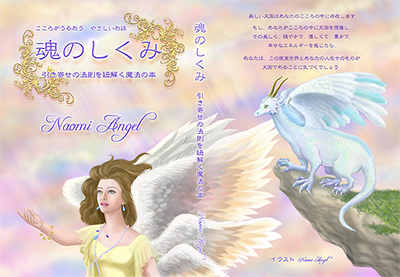 Send one of Naomi Angel’s stickers to your friends, and ask them to tap the sticker, then they can get them on LINE store. Send below URL, if they already have LINE application, then, they can get them easily at LINE stores when they click a link. 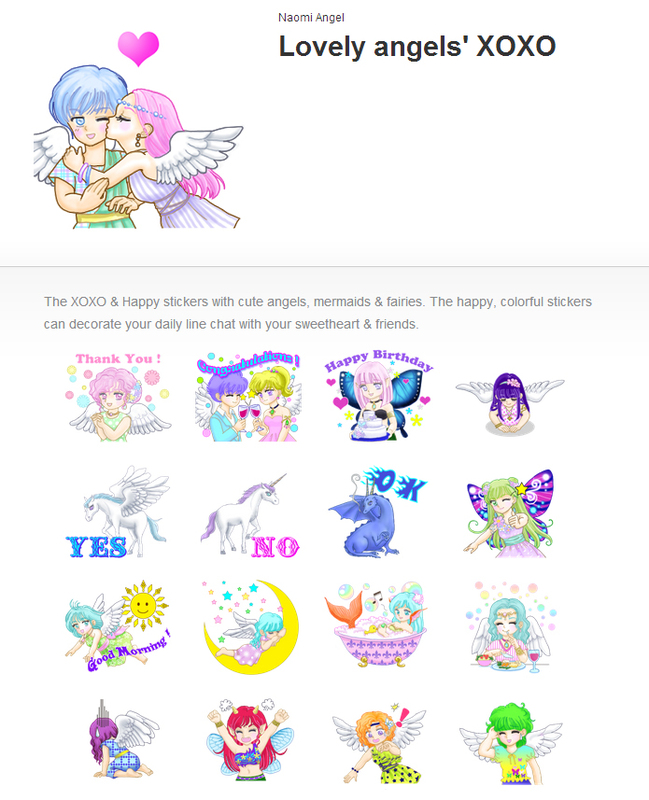 On the LINE application, go to Other＞Sticker store>ClickHand glass (Search) in left above, type "Angel" or "Naomi" then, you can find Naomi Angel’s stcker "Lovely angels’XOXO", tap it, then, you can get them on the LINE store page. Please introduce your friends and ENJOY with them !! You can see bigger image of these stickers, please check them ! I appreciate many people get and use my stickers. In fact many male customers also using this sticker, for example, to gift his girl-friend or his wife, to send his little daughters as daily love letters. 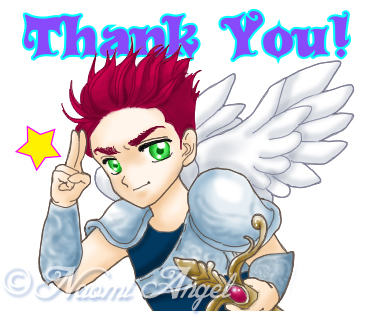 The theme of Part 2 is Dragons and Angels’ adventures, Boy angels wearing armors and swords have brave adventures with their dragons. I am creating them, now. Will notice here when to release. 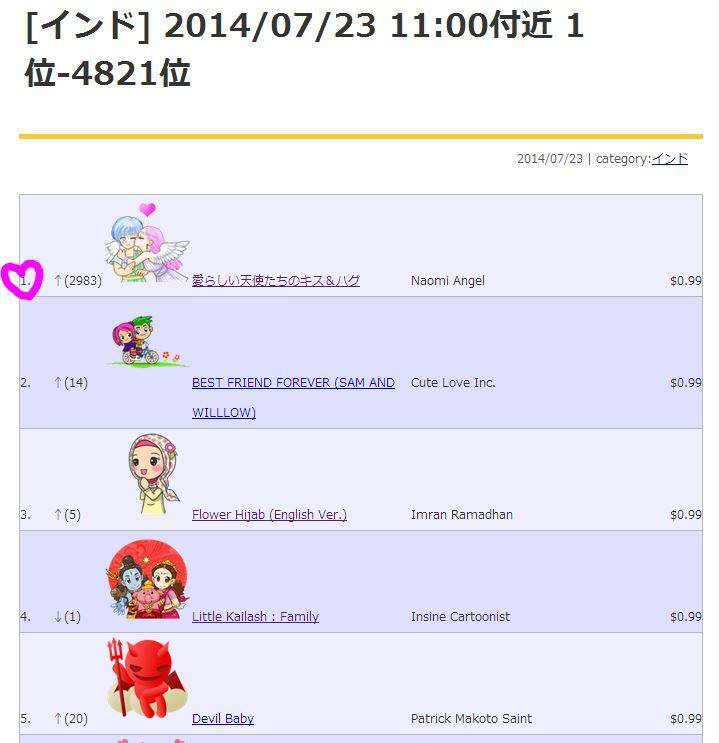 "Lovely angels' XOXO" ranked in the 1st in India in July. 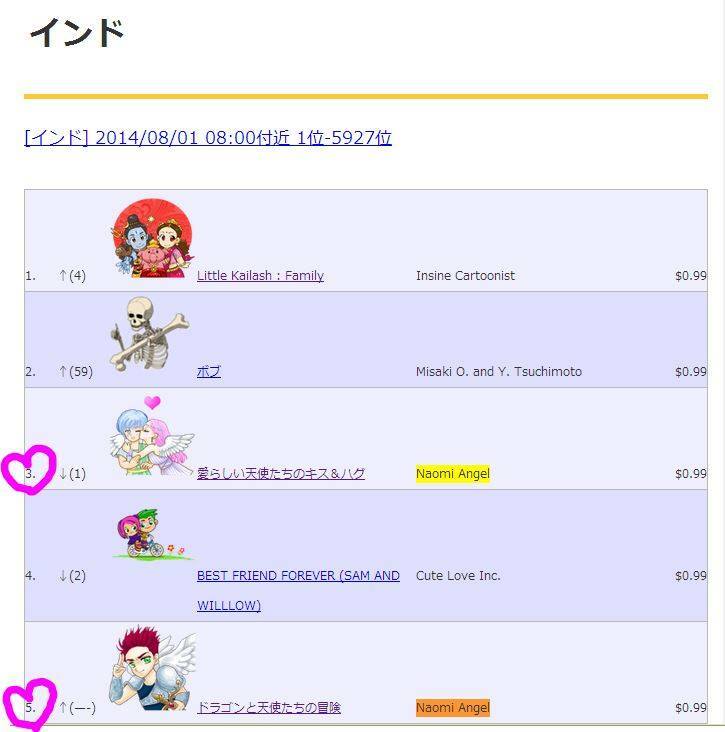 "Dragons and Angels' Adventures" also ranked in the 5th in India in August.